3-Sixty Brand Communications first started up on 11 March 2002. The agency has seen its share of highs and lows. Today, as an agency, 3-Sixty Brand Communications believes in creating advertising that builds brands while making the sale. The team also believes in having a “glorious time doing it”. 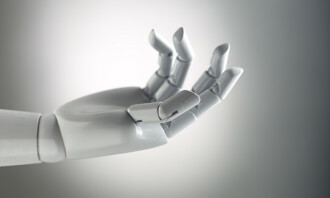 “We find new avenues to communicate and reach out to brands. We combine conventional advertising with an all-round approach. 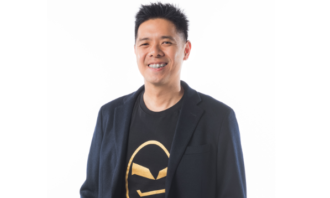 If your brand needs it, we’ll find a way to breathe life into it,” explained Choy. Here’s his story. Believe it or not, 3-Sixty was conceived on my wedding anniversary. I had the day off but the wife was busy working and I happened to walk past International Plaza (that’s where the Registry of Companies was located back then), and the rest is history. But seriously, I had given much thought about having new challenges after more than seven years of happily servicing a myriad of accounts. I felt setting up a company would be an enriching venture. Yup, we were all young and foolish once. Which year did you first start up? Who was the first client you had on board? I started the company on 11 March 2002 and we were very fortunate because one of my long time clients, Ninan Chacko, who is the MD of NBT (Brunei) Sdn Bhd, that distributes Toyota and Lexus cars in Brunei, strongly encouraged me and gave me his assurance that he will continue to support me. 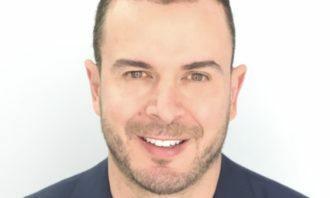 In the early years, he got 3-Sixty to work on everything and anything that remotely resembled advertising and promotion. For that I am eternally grateful to him. Once the momentum started and word got out that I had formed 3-Sixty, one ex-client came after another and soon all our accounts were ex-clients!! It was amazing and quite flattering. How did you put your first team together? It was tough – and still is – to find the right fit for the team. Those with experience would prefer to stay in a ‘branded MNC’ rather than with a local startup. And those who are fresh in the workforce find it hard to match the pace. My ex-colleague whom I worked with in O&M decided to leave her cushy MNC job to join me. You know, it was really like a Jerry Maguire moment then. And she then convinced her art director buddy to join the team. And after that, it was just all systems go. There is no one thing that stood out. But as a local agency, we sometimes get bullied – clients think they can ask us to do things that they normally wouldn’t ‘dare’ ask of an MNC. I once worked for weeks on a logo design for a quasi-government outfit. We had close to 25 designs variations and you know what, the client picked two and asked the team to work on three more new designs so she would have give options to present to her boss. I was flabbergasted! Would she have done this to an MNC? Maybe yes, maybe not… but I told her she could have all the designs for free, and left the meeting. I guess we need to respect our work. I will never ever scribble revisions on layouts nor allow clients to do so. Yes, I am a bit old school. If we don’t respect the work, who will? But if the client is right, I will never be afraid to admit it and if need be, work 24 hours to get the work out. BUT don’t bully us just because we are small/local/starting out. Not cool. Of course! Especially after you have a team and suddenly you are not only responsible to your family but all the lives of your teammates. And that is quite daunting. I just try not to think about failure. The one thing I constantly emphasize to the team almost to the point of nagging, is CREDIBILITY. Once we gain trust, failure seems a distant possibility. Unlike MNCs, We do not have the luxury of second chances. In my experience, when clients are unhappy with a team in an MNC, the agency simply changes the team. With Independent agencies, the clients change agency! Fortunately, 3-Sixty has an incredible team right now. The team is young and energetic; not just physically but also in terms of conceptualizing radical ideas that work. 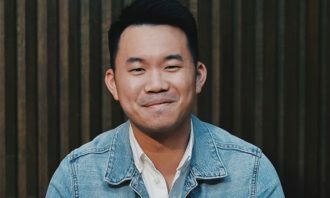 This boundless energy coupled with our Pioneer Generation creative director, David Khong (he’s going to kill me for calling him that) who brings with him decades of experience and together with our very versatile senior writer, Collin Kam, the work is just getting better and better. And also, our client service director, Cindy Tay, who has been with 3-Sixty for almost 12 years does an unbelievable job of driving the agency forward as one cohesive unit. I have always joked that every art director wants to shoot a feature film, every copywriter wants to write a book and every suit owns an agency. Of course it sounds nice being “da Boss” but as with all titles, it comes with a lot, a lot of responsibilities. You never know when you will lose an account, lose a key teammate, or if you have enough to make the next pay cheques, your next mortgage. My kid is constantly being placed on eBay Auction. Would I work for someone again? In the service industry, we are always working for someone. The freedom to choose the types of clients that would help grow the agency and vice versa. We have never shied away from parting ways with clients that have become a morale issue. Also the freedom to remunerate the team as we see fit. Let’s be honest, as much as we love advertising, we can’t always do it for love…. as much as I would have loved the team to do so. End of the day, after all the hard work, the team cannot be worried about their finance. So, we try our best to take care of them to the best of our capabilities. We promote and reward our teammates the moment they earned it, and never ever by length of time in service. This came from a very bitter personal experience in the Army, but that’s another story. And every so often, Cindy will declare a day off – a sports day, a company trip or just an afternoon of relaxation, usually after a bout of hard work. We don’t need to justify to any head office or shareholders and this does wonders for esprit de corps and morale. We marketed ourselves as an H.O.N.E.S.T. and a strategically creative team. We want to put not just creative work out but work that helps build clients’ brand while making the sale. As cliché as it sounds, our work and more importantly, our attitude, to our clients’ business was our advertising. We are fiercely protective of the brands we work on. Perhaps this reputation of ours precede us as many of our accounts were clients from my previous agencies and also through recommendations. So, the joke in the agency is that we love it when our clients move on to a different industry because that’s how our portfolio grows. Once again, I am really very blessed. I studied Mechanical Engineering and then spent seven years in the army and with absolutely no advertising experience, managed to get 4 interviews from 11 cold calls and from these, two job offers! I had a fantastic time in O&M, made great friends and most importantly, build a fantastic and solid foundation. I learned heaps from the likes of Edmund Choe and Andy Greenaway (ya, I’m just dropping names here, hahaha. I am sure they won’t remember a not-so-young AE hounding them then). My first bosses, client service director, Jeffrey Totaro and group account director, Ronnie Tan, were amazing. As David Ogilvy would say, “Gentlemen with Brains”. A lot of what 3-Sixty runs on today is due in part to these two gentlemen, no wait, three. Add David O in as well. Again, don’t mean to sound cliché, but in advertising or in the business world, “you can only fool people once”. Hence, I have always, always emphasised honesty and credibility. Always. Be honest. You only have one chance. Buy over a majority share in one of the MNCs….I have my sights on a few. Hah! This is like asking me to show a photo of my favourite child among the dozens…. There are many I’d like to share, if you’d indulge me. 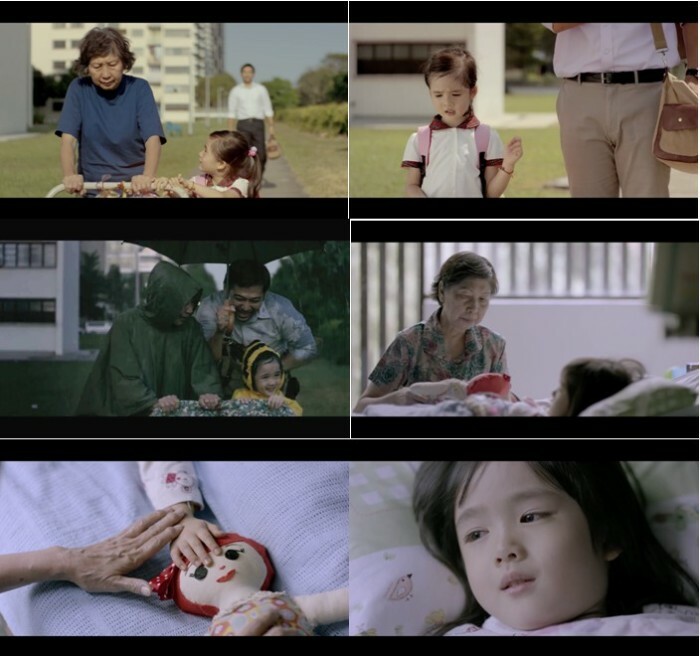 Starting with the most recent, our “Mud Doll” TVC for the Singapore Kindness Movement. It was a viral hit, garnering over 75,000 views and thousands of shares in just a few days. It’s got over 2 million views now, thanks in part to an extremely supportive client. A few pieces of work we did for IKEA are also forever etched in my mind. 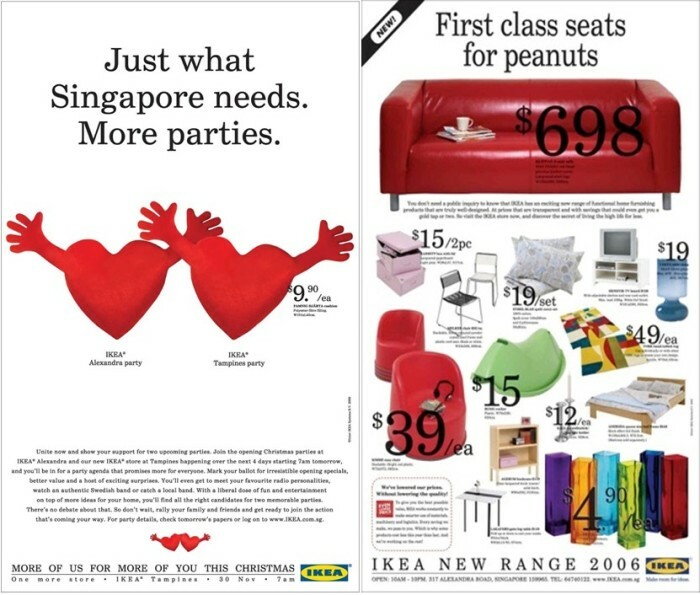 To launch the IKEA Tampines Store, IKEA decided to throw two parties simultaneously – one at the Tampines Store (of course) and the other at the Alexandra Store – and our Thursday launch ad cheekily read, “Just what Singapore needs. More Parties.” (See attached. Now you understand why we got banned). During the store opening, the IKEA client took us aside and delivered the bad news at 12.30pm (see how deeply entrenched it is in my mind! ): some ‘authority’ had taken offence to our ads, and ALL follow-up ads had to be changed. We had a total of 12 ads in 4 languages lined up over the next 3 days, all of which had to be redone. Amazingly, the team pulled it off! Another memorable ad was also for IKEA, for which our concepts were always very closely linked to current affairs and, as the client put it, designed to “put a twinkle in the eye” of every reader. So this ad was done in the wake of the 2005 NKF saga. Once again, this ad had us and our (very brave) client hauled into a little closed-door meeting with ‘authority’ figures. Hah, how can this not be memorable, right? When does being brash in your marketing stunt work? Nearly 300 marketers and leading agency professionals came together to celebrate excellence in events marketing - and took home so..
PHD Hong Kong has named Karen Thong, former head of internet strategies for CIMB Malaysia, as head of digital for PHD Hong Kong. ..